Fakhira’s home and almost all the people she knew were slaughtered in the middle of a war for power between two power-hungry men. Fakhira is devastated, but when she is chosen as the Champion of the Waters, she will rise to the challenge and the call to help those who can’t help themselves. 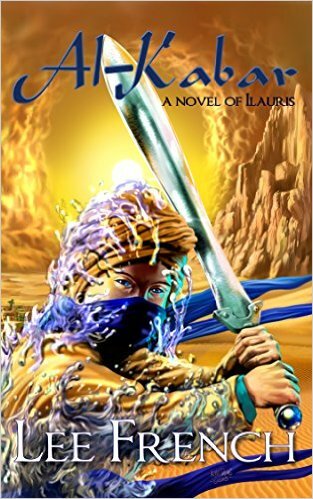 What begins as hope for revenge will only end when Fakhira learns who she is and how she can lead a people to peace. This story sucked me in from the very first page. There was such great detail and the tone and environment of a culturally inspired Arabia in the 900’s was eloquently developed from the very beginning. The first page and then first chapter and then rest of the book were so very excellent. The time period and culture and writing style reminded me of the Women of Genesis series by Orson Scott Card. French did an amazing job of putting me exactly where her setting was and making me feel like I was there in the middle of the action. The story was more about Fakhira then about the time or the place. Fakhira is one of the role models for females. She is able to take things as they come. She is a strong character even in situations where she cannot do anything but control her impulses and not let herself get caught. I love how clever, thoughtful, and logical she is. Ultimately Fakhira was strong, yet still human. French featured the most interesting and twisted love triangle I’ve ever encountered in a book. French plays with gender fluidity and sexual preferences. Though, due to the time and place of the book, a woman would most likely never be a leader, French also shows us Jannat, a strong woman warrior. French shows us the possibilities in a society where there are few chances and few possibilities for females to be their true selves if that true self is a leader or fighter with Al-Kabbar, Fakhira and Jannat. This novel was published by Myrddin Publishing on September 18th, 2015 and is available on Amazon here. ← Wildlife Wednesdays: How Does Your Zuchini Grow?